Being a woman, what was your ultimate motivation for getting involved in entrepreneurship and how did you make your entrepreneurship goals come true? I always say that my career as a founder picked me, not me it. I never intentionally set out to be an entrepreneur. I simply followed my excitement – what I felt called to create in the world. All of my entrepreneurial ventures have been targeted at economically empowering everyday people. I see my personal journey as a founder as a case study in learning how to employ smarter means to achieve that end. I started my first venture when I was 20 years old and ultimately dropped out of Stanford to build it. It addressed economic empowerment in the most direct of ways: helping 70,000 African refugees get access to jobs, education, and microfinance. That work was personally fulfilling, but not scalable and did not do enough to address the systemic issues that cause poverty and conflict. My next venture was to build an alternative economic system, via Simbi, helping those who struggle in the dollar-based economy to turn their excess capacity into real economic value. That work is super important, but ultimately a band-aid that was necessary because of the incredible economic disempowerment we are seeing in our country. So how do we get to the root cause of disenfranchisement? That is where the new business models enabled by blockchain come in. If we can rebuild our economic infrastructure in a way that is fair, non-extractive and price-optimized, there is a fighting chance we can reverse the horrific advancements of wealth inequality and plutocracy that we are currently witnessing worldwide. Ultimately, my background in creating consumer web products, combined with my training in economics and game theory, led me to create Public Market. How does your innovation- Public Market- benefit individuals and the society as a whole? Public Market is a commission-free e-commerce platform that eliminates the exorbitant fees imposed by today’s eCommerce marketplaces and replaces them with a blockchain-based token that rewards buyers for purchasing from the network. We do this through an open data protocol that pools and makes public the third party inventory that marketplaces like Amazon keep proprietary, thus letting anyone quickly build storefronts to sell any of the products in our protocol commission-free. Our mission at Public Market is to restore the commercial commons. By eliminating the middlemen that sit by the digital register in all of today’s marketplace purchases, we are enabling an economy where goods can be freely and fairly traded for everyone’s benefit. How long have you and your team been working on this project and what efforts have been taken for mass-adoption of this platform? My team has been working on Public Market since May of 2017, building the technology and the supply side of the marketplace in stealth. Our intention is to launch the best and highest-utility consumer product that the blockchain space has yet to see. Regarding how we will reach mass adoption, this is by far the place I’ve invested the majority of my focus for the past 16 months and I’m very proud of the mechanisms we’ve put in place. Our mass adoption strategy can be summarized by three Ps: Price, Product, and Powerful Incentives. Price: Public Market reduces the effective price that buyers pay for the stuff they are already buying on major marketplaces. When it comes to buying choices, consumers are influenced by price above all else. By eliminating the large commissions that marketplace sellers pay on all their sales, we allow buyers to get stuff much cheaper than they would otherwise – creating a critical condition for mass adoption. Product: Unlike many blockchain companies that ask users to deal with clunky dApps with terrible UX, Public Market understands that mainstream users do not want to sacrifice on product experience. Even as an MVP, our flagship marketplace is designed to provide the quality of product experience that modern buyers have come to expect. We’re a team with a lot of experience building consumer products that people use and love – that ethos is critical to going mainstream. Powerful Incentives: Public Market has been very carefully crafted to build the types of powerful incentives that can help launch a product into the stratosphere. Our token is designed to drive early adoption: the earlier and more that you shop with us and refer friends to do the same, the more you earn. Importantly, we’re not talking about just earning tiny amounts that make no meaningful difference to your monthly budget. We’re talking very significant value that we believe buyers will find difficult to resist. Keeping the consumer in the first place, do you think Public Market has the potential to disrupt the current online marketplaces and its standards? Of course. It is designed to do precisely that. Public Market’s architecture takes away the proprietary data advantages that today’s private centralized marketplaces use to maintain their dominance. Once we’ve established the Commercial Commons – the idea that information on who is selling what at what price should be a public good, not one used to extract monopolized commissions rates for a private company – consumers will flock to the more fair, lower-priced alternatives and today’s marketplace giants will no longer be able to rake in the massive profits they do today. Do you think that your male counterparts in the industry are welcoming women to participate in the decentralized world? From your point of view and experience, have you faced any challenges being a woman? There’s no question that diversity in the blockchain space is severely lacking. It’s a real issue that we all benefit from solving, at all parts of the pipeline. I’ve been very heartened to see the degree of attention that the blockchain space has put on it. Like most women, I have my stories about ways in which I didn’t feel as welcomed or taken seriously as I may have been if I were a man. However, I also have stories about being extremely welcomed, and respected, and given opportunities. The data shows that on the whole, female founders have a significantly harder time raising capital than their male counterparts – even when giving the exact same pitch. One of the downsides of being human, however, is that we rarely get to A/B test our own lives. So it’s very difficult to know with any certainty the degree to which that’s impacted me directly. What I do know is that I’ve had a wonderful career and have been fortunate to raise money from some of the best investors in the world – Greylock, Y Combinator, Foundation Capital, Maveron, Norwest, the list goes on. So even if it is a challenge, it can be overcome. That’s kinda all you need to know as a founder. Considering over two percent of all VC funding for startups went to female founders in 2017, how smooth or hard was fundraising – from investors – for you and your team? Public Market is also backed by some of the most forward-thinking investors in the world, including Y Combinator, Coinbase Ventures, Hustle Fund, and Day One Ventures. I think the most important thing to consider when raising money, in light of the statistics, is the best investors are the ones who can think beyond their biases to get to the heart of a business. Those are the ones you really want. While it may require more work to find them, they’re out there. In your opinion, how do you think that more women in the Fintech and Crypto sector can make a difference? More women in the space can make a difference in lots of ways – from better workplace culture to higher expected returns. One way I’m particularly passionate about, however, is simply how more women in the space will help us achieve the goals of mainstreaming blockchain adoption. Women are uniquely positioned to invent and optimize products that other women are likely to use. 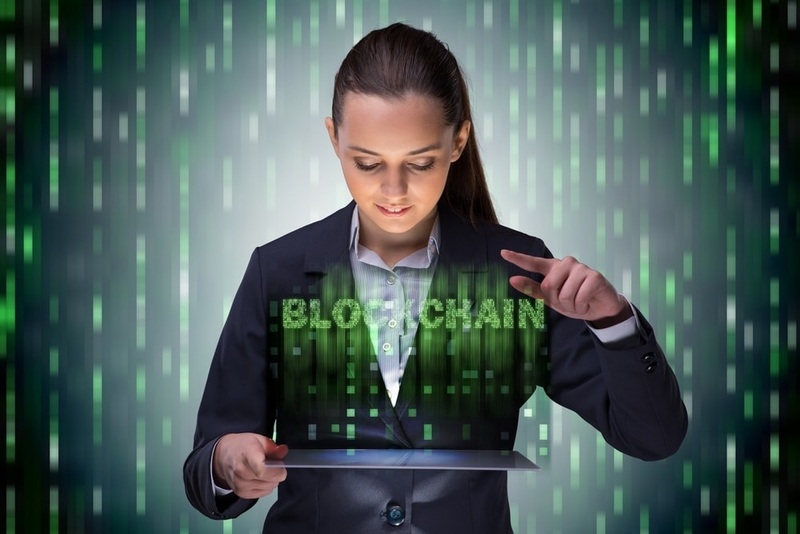 In order for the technology to break the mainstream barrier, we need more women deeply involved in the creation of blockchain-related products. What suggestions and tips do you have for young aspiring women entering the tech-world and how important is it for them to participate? Just do it! I started out my entrepreneurial career at 20 years old. My previous jobs were tutoring, filing papers and cleaning tanning beds. I was ridiculously unprepared to lead a complex 200-person organization working in highly insecure environments, for instance. I had to learn everything the hard way, which was often brutal. But it is also the fastest way, and it gave me many of the skills and fortitude I rely on today. Take the unconventional path. My career path has been very non-linear. That has been the result of two things: listening to my gut about what to pursue next rather than following a prescribed path and being obsessed with learning new things. My superpowers come not from hyper-focused depth in one field, but from cross-disciplinary learnings in many different environments and industries. Both approaches are legitimate, but I tend to believe that a diverse experience set is the most valuable for entrepreneurship and management. Don’t spend cycles worrying about being a woman. What I’ve found helpful instead is to remind myself that EVERYONE faces hurdles or obstacles that they must overcome to succeed in a highly competitive space. For some its race or gender, for others its growing up in a bad environment or being afraid of public speaking. And for some, it’s all of those things combined. We all bear our own crosses. Focusing on our handicaps is ultimately just not helpful — it’s what we make of our disadvantages that show who we really are. I will be beside my team growing Public Market. Once we open up the protocol so that anyone can start building storefronts that sell from the inventory we’ve amassed, I’m beyond excited to see what happens. With a shared data layer, I believe we’ll see a new renaissance in eCommerce. Previously difficult or impossible innovations suddenly become possible. Where do you see Public Market in the next 10 years? In the next 10 years, Public Market will have taken the monopoly out of online commerce. We will be a household name that has become synonymous with the transformative power of the web3 era. Do you think Blockchain has the potential to disrupt the world? I wouldn’t be here if I didn’t believe it. The advent of blockchain technology has given me hope that we can escape some of the worst trappings of late-stage capitalism where economic gains all flow to the top. If we succeed at that, we’ll change the course of history. I strongly believe that blockchain’s biggest impact will be the non-extractive business models it can facilitate. Unlike anything we’ve seen before, blockchain allows for businesses that ordinarily suffer from monopolization to be built around tokenized ecosystems in which the interests of the network participants are aligned with the interests of the network builders. No centralized company needs to profit off the users by extracting fees and data. This is a revolutionary shift in how networks and businesses can be built. Do you think women in the blockchain industry have equal opportunities to prove their mettle? Investing in NA’s first advanced exchange for security tokens and merging with X2 Games this month, what’s next for Global Blockchain Technologies?